After the success of last year’s Hack Day, AMIA again partnered with the Digital Library Federation to bring together developers and archivists to work on digital problems. The projects at this year’s event were Video Sprites, which creates and synchronizes sprite images to video media; Characterization Compare, which runs FFProbe, MediaInfo and ExifTool on the same media and creates a CSV showing the output from all 3 tools so the differences can be compared; Hack Day Capture, a tool to digitize video using Black Magic hardware; two tools, a validator and a record generator, for working with the metadata standard PBCore; avspace, support for AV metadata within the ArchivesSpace data management software; and several projects to improve existing documentation used by both AV archivists and the public. Chris Lacinak of AVPreserve curated a series of presentations on open source digital preservation and access. It started with an introduction to open source software and concepts and then looked at many projects and case studies where open source software is being used in AV Archives. Ashley Blewer has created a list of the open source projects and technologies discussed throughout this year’s conference. We are already using a number of these tools and resources in our work at the Archives and will be looking at adding more to our workflows. 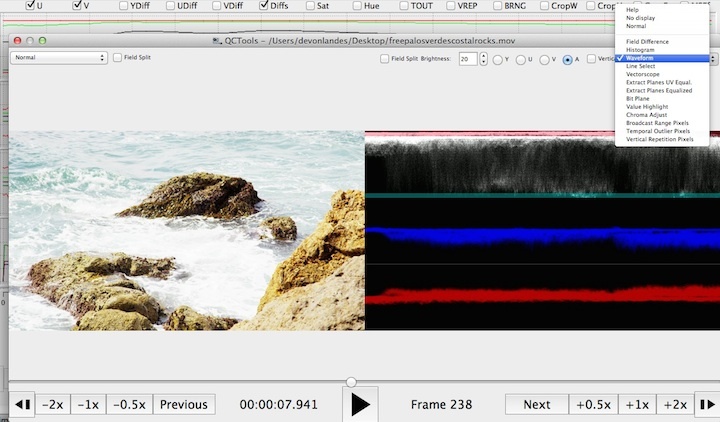 One presentation reported on the progress in developing QCTools, a multi-year project led by the Bay Area Video Coalition with the Dance Heritage Coalition to create quality control tools for video preservation, funded by the National Endowment for the Humanities. This set of tools will reduce the time spent checking and validating digitization work. In a few years, it is expected that professional moving image film will no longer be commercially produced and so will not be available for preservation projects. Reto Kromer curated a series of presentations on transitioning to a world without new film stock and where the technology to project film is no longer being produced. Presentations discussed topics such as film digitization, the use of film projection in university classes, the problem of stinky acetate films, and 3mm gauge film. A 3mm movie camera is shown in the video below. The digitization of media was discussed and demonstrated in many sessions and from different points of view. Case studies of collaborative regional digitization projects were presented, including one about the xfrcollective, a New York media preservation organization that sponsored the xfr stn (transfer station) moving image digitization station at the New Museum in 2013; the California Audiovisual Preservation Project, which coordinates the digitization needs of 77 institutions and organizes digitization through an external vendor; and Moving Image Preservation of Puget Sound, a consortium which digitizes video for its member institutions. Post Haste Migration spoke about their project to digitize Dictabelt recordings from the Bing Crosby Archive. Crosby was an early adopter of many technologies and in 1945 he acquired an early Dictabelt and used it for decades (into the 1970s!) to record his ideas and dictate letters. 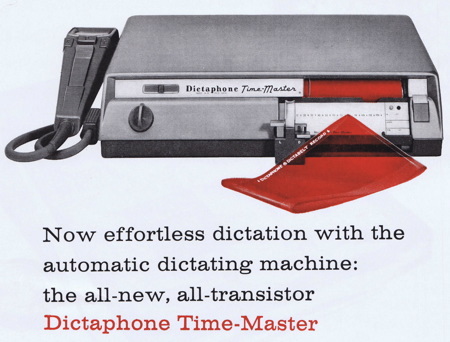 Dictabelts were meant to be used for dictation of business letters, which were then immediately transcribed: the recordings were never designed to last. The project had to combine used parts from old Dictabelt players with new parts, then align the machines perfectly so that could play the media. They also had to develop procedures to clean the belts and get rid of folds pressed flat over decades to make the dictabelts playable. Some of Crosby’s recordings were used for the PBS production American Masters: Bing Crosby Rediscovered, which aired this week and will air again December 26. 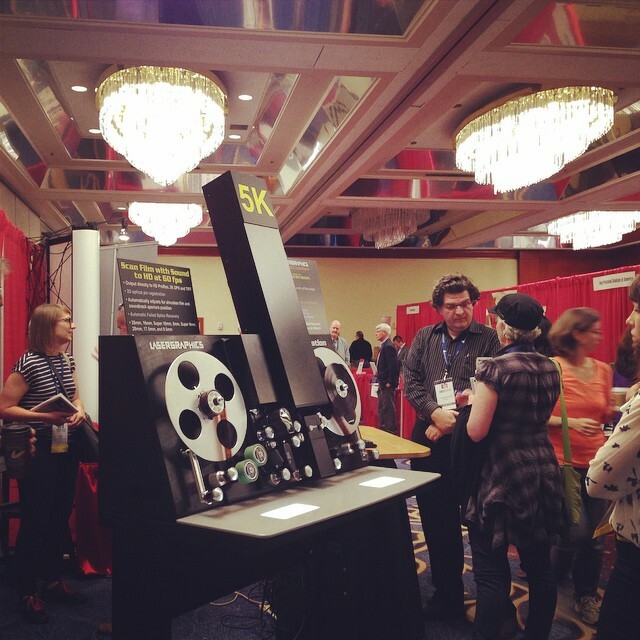 The 2014 AMIA conference was another worthwhile discussion of a variety of technologies and approaches for the preservation of audiovisual archival materials. This entry was posted in Digital Archives, Digitization, Preservation and tagged AMIA, digitization. Bookmark the permalink.